The sequel to Treasure of the Black Hole has been released! 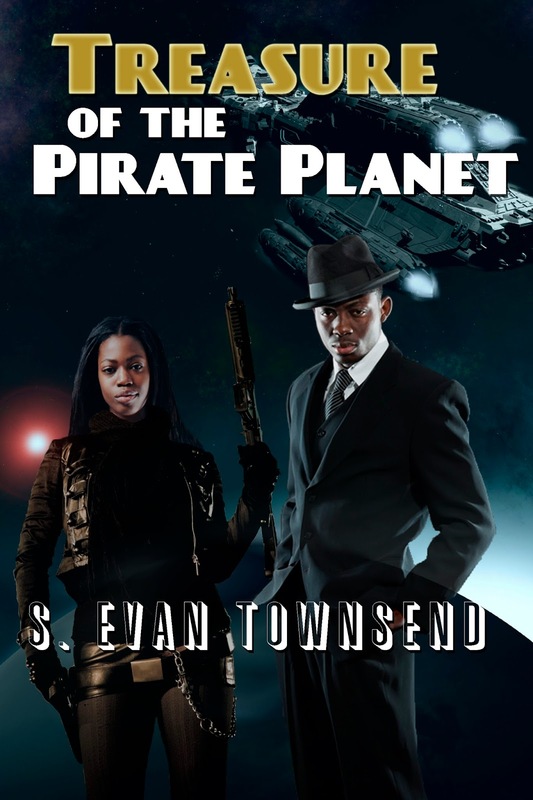 Treasure of the Pirate Planet is now available in paperback and Kindle (it's so new, it hasn't merged yet on Amazon).
. . . if you wrong us, shall we not revenge? Rick Bailey is living a nice, quiet life on the planet where he retired, enjoying the money he found in the Treasure of the Black Hole. Without warning, he is arrested for helping his former lover, Jil, break out of prison where she was serving a 20-year term for murdering an alien. Hoping to clear his name, Bailey goes after Jil. But the slime-bed mate of Jil's victim is also after her. 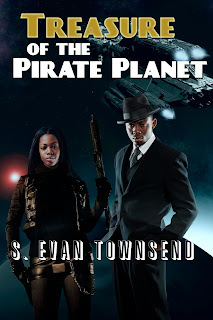 Now, Bailey's only hope for saving Jil is to find a treasure buried on a planet over ran with cannibalistic pirates. He teams up with a Core Empire Intelligence Corps officer, but she might have motives of her own. Can Rick save Jil and keep himself out of the clutches of the Core Empire that wants to vivisection him, the police who want to jail him, and the alien who wants vengeance for his brother's murder? This exciting novel is the second book in a planned "Treasures of Space" trilogy. Get your copy today in paperback or Kindle (Also available at Barnes & Noble).